Along a now-forgotten highway, New Hope, Pennsylvania was once considered the halfway point between Philadelphia and New York City. Today it’s still a place to rest, relax, and prepare for other journeys. Gay-friendly and quaint, this welcoming village is perfect for those looking to escape the city and to get lovey-dovey deep in the country. You’ll find New Hope in Bucks County, a place dotted with one cute town after another. 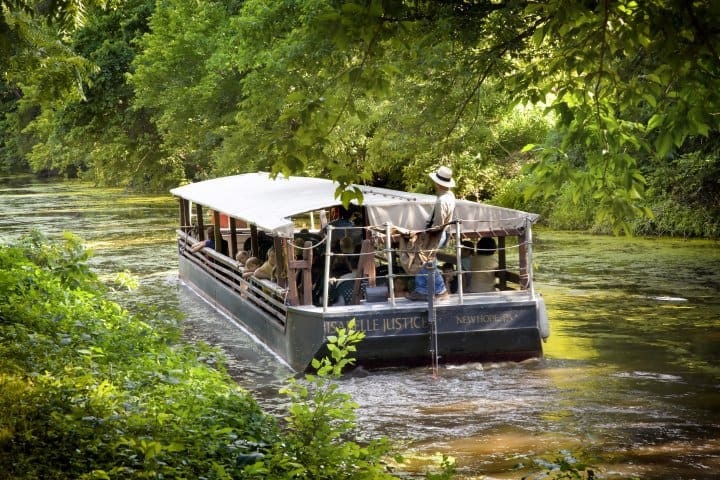 It sits on the Delaware River and Delaware Canal; so, if you’re looking for a picturesque pastoral setting, look no further. In the last half-century, gays and lesbians have discovered the beauty that brought in artists early the 1900s. You will feel as though you’re stepping back in time. Certainly the modern conveniences are there, but without the modern encumbrances. You big-city types may have to slam on the brakes to appreciate the peace of mind you’ll find there. New Hope provides the perfect setting for replacing that annoying cell phone with the warm, probably somewhat neglected hand of your partner. Though small, the town packs in a sophisticated collection of things to do. Stroll along Main Street and the adjacent sides streets, and you will discover one independent shop after the other. Antique hunters: Prepare your wallets. Browsers will also be in absolute heaven. There are also many inspiring art galleries for lookie loos to fill a whole weekend. For the gays who love nothing more than a good show tune, fosse over to the Bucks County Playhouse for a play or musical production. There are also charming restaurants to fill your bellies before heading to the theater. Later, if you do want some gay nightlife, there are a couple bars, but the wild parties won’t be found there. The night will end (at least in the bar) by 2:00 a.m. Though after a day together in New Hope, you may have more amorous plans for the evening. Some choose to use New Hope as their base to explore the surrounding area. You’ll find hikes, wineries, historic sites, and scenery that will give you that goofy, mushy feeling in your heart. Though if you choose to spend all your time snuggling by a fire, that’s a good way to feel the magic too. It’s okay—no one needs to know. 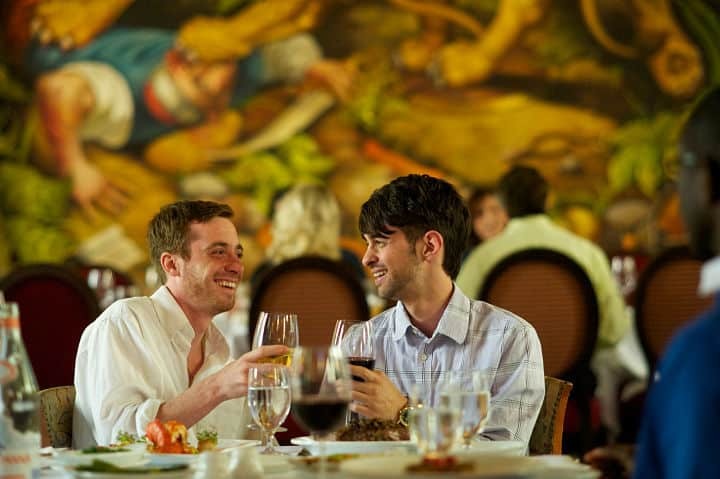 In town, there are a few gay and lesbian inns, guesthouses, and bed and breakfasts. But if these are booked, most of the other accommodations are gay-friendly. The only thing you will really need is a place with strong bedsprings. Take full advantage of this romantic getaway and the quiet time you two can share there that you may not get anywhere else. It might strengthen a blossoming relationship or rekindle a mature one. 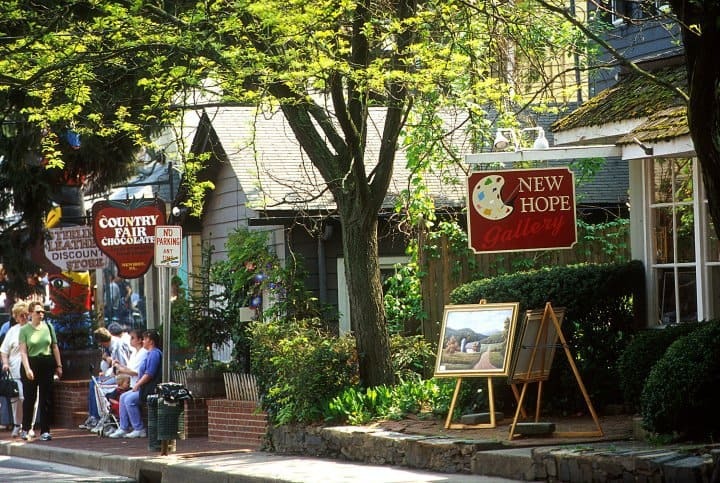 So add it to your getaway list: Explore enchanting little New Hope.